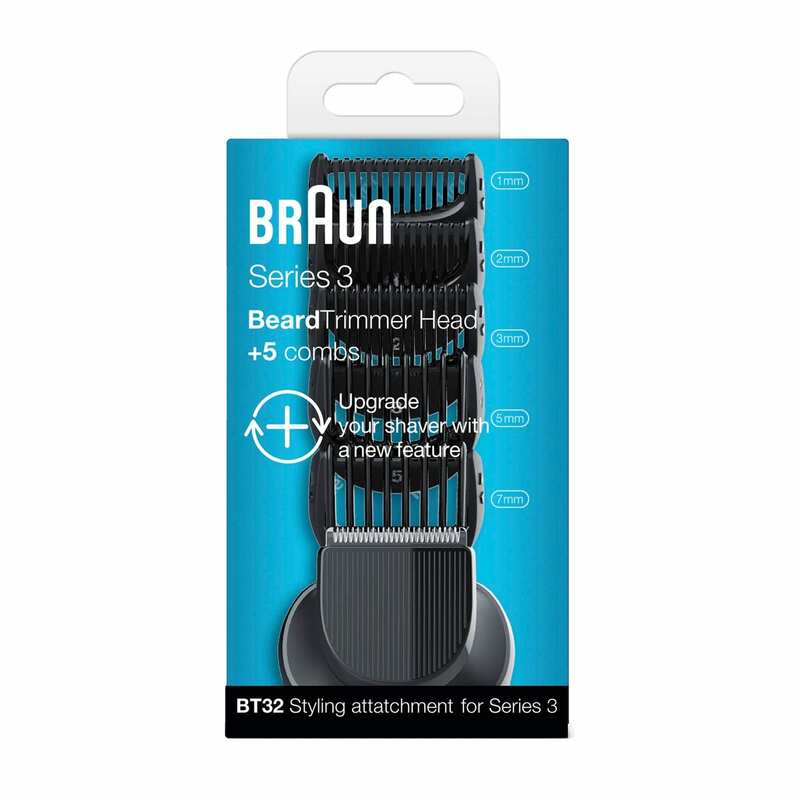 Braun BT32 trimmer head and 5 combs for Series 3 (new generation). 2 easy steps to upgrade your shaver with a new feature. Top precision, amazing simple. Works with any Braun Series 3 shaver*.